A family owned and operated business!! To access your custom corporate account online ordering portal, please click on the link below. It will open in a new window. Our branded corporate ordering portals are a great fit for businesses and non-profits alike who have a need for a centralized place to customize common stationary items for different associates or customers. While we say "common", the site is flexible enough to do just about any item such as booklets, brochures, decals, etc. If you are interested, call one of our sales associates and we would be happy to help you decide if this site option is a good fit for you. 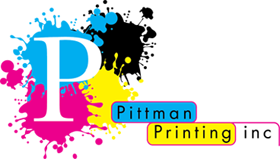 We are Pittman Printing Inc., a family owned and operated business in Liberty, Missouri. To place an order or get help with a new project, enter our online Customer Service Center. Review our advertising specialties. To learn more about Pittman Printing, browse through our Company Information section.